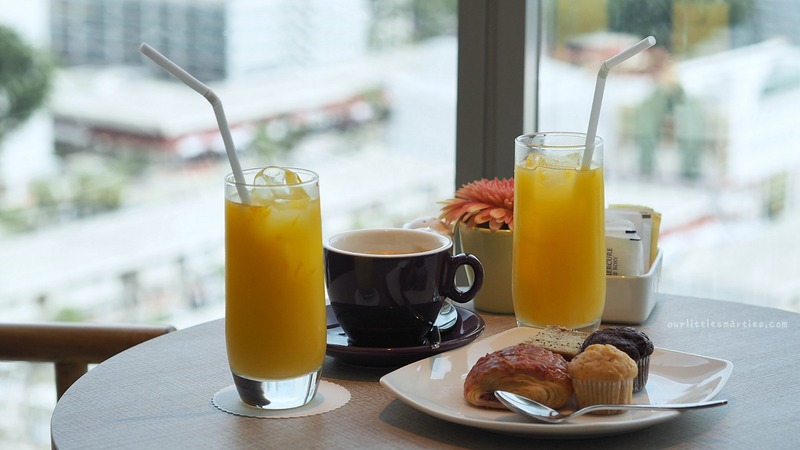 Grand Mercure Singapore Roxy is an Accor hotel strategically located in the historic East Coast region and within walking distance to East Coast Park, two major shopping centres, and many local eateries. 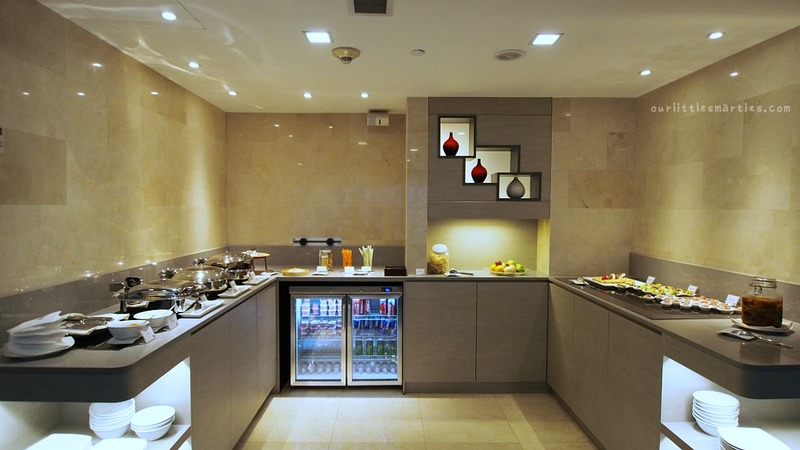 It’s also near the airport, thus making it an ideal choice for business and leisure travellers. 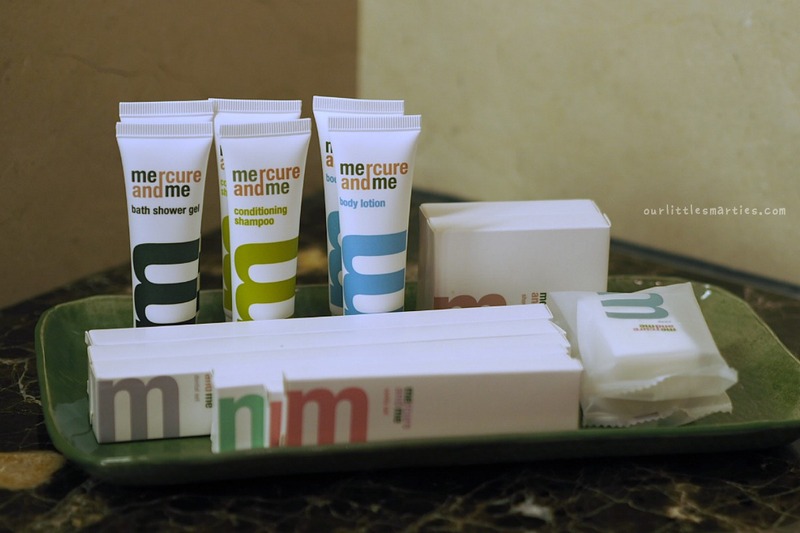 Last weekend, we went for a staycation at Grand Mercure Singapore Roxy to celebrate my 40th birthday. You may not believe it, but this was the first time I celebrated my birthday with a staycation. I figured turning 40 is a major milestone that deserves to be celebrated in a memorable way. As we drove into the hotel carpark, we couldn’t help but thinking that the hotel’s façade and surrounding look rather unattractive, especially with the construction of the Thomson-East Coast Line in front of it. Nonetheless, the Business Suite that we were hosted in is a complete opposite. So, don’t judge a book by its cover. This property has been around for a while but it was refurbished a few years back. 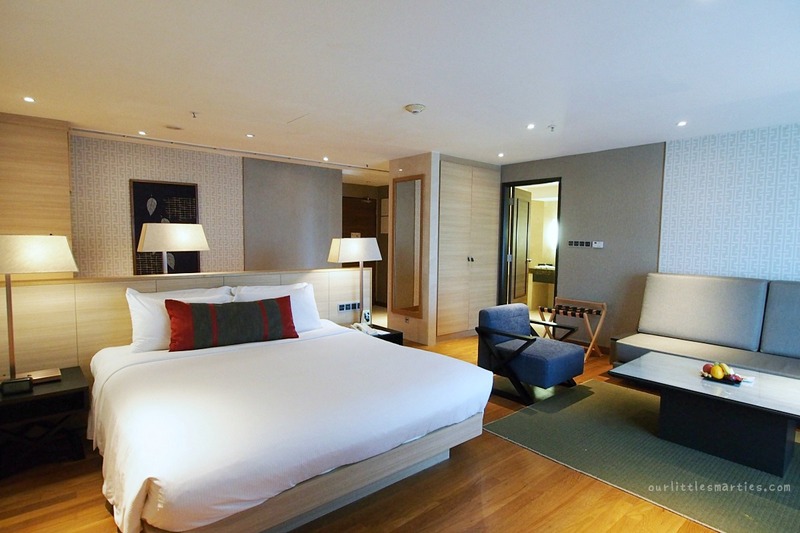 It boasts some of the largest rooms within its class, even the entry level rooms are already at 32sqm in size. 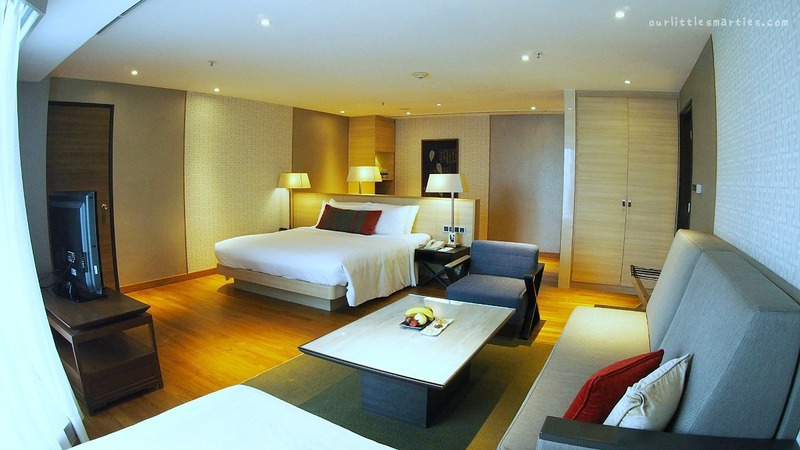 Our Business Suite, the largest room category in the hotel, measures a whopping 54sqm! The moment the door sprang open, our eyes widened with amazement. The suite is unbelievably spacious! I loved the minimalist Zen furniture of dark wood and grey cushions. The thoughtfully-designed layout also allows plenty of open spaces in the room, thus ideal for families with kids. 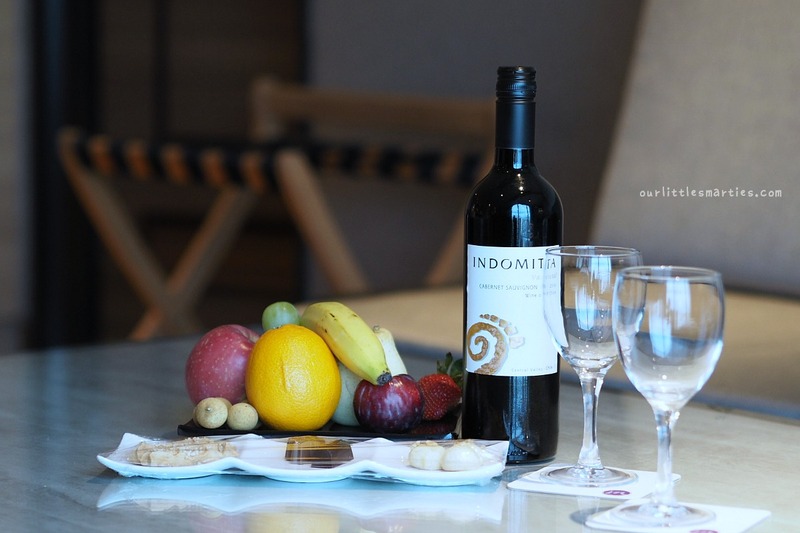 When you enter the Business Suite, you’ll see a large work desk with a minibar next to it. It comes with a Handy smartphone with unlimited International calls to 10 countries and mobile data. At the opposite end of the table is the King Size bed and 32-inch flat screen cable TV. Next to it is the sofa bed and two arm chairs. The hotel has also prepared an extra bed for Edison. 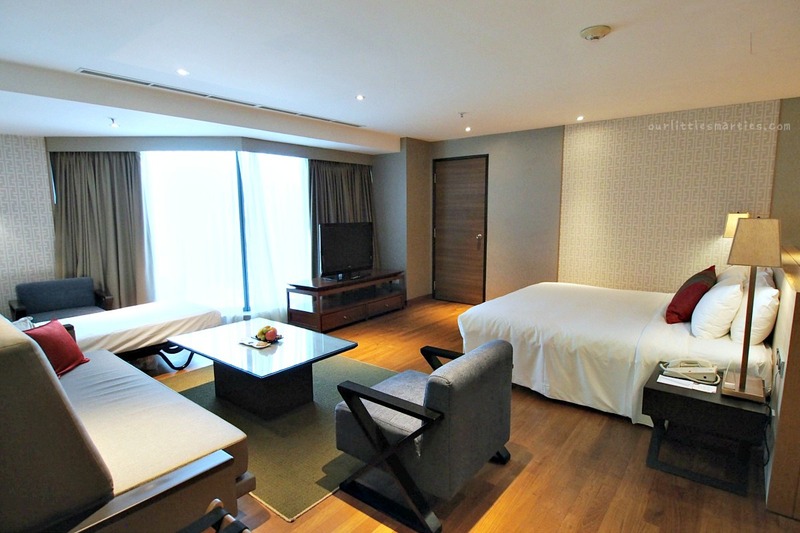 As you can see, this suite can accommodates a family of 2 adults and 3 kids comfortably. As part of his hotel ritual, Edison would run to the bathroom to check-out the bathtub. He was totally mesmerized with the white freestanding bathtub and elegant marble bathroom. This is certainly one of the most impressive hotel bathtubs I’ve ever seen! And it’s only available in the Business Suite. 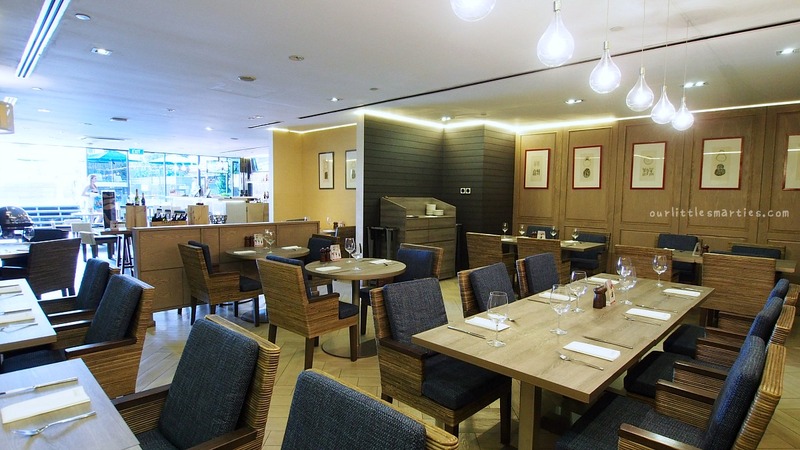 The Hotel has 4 dining options with different gastronomies and environments. 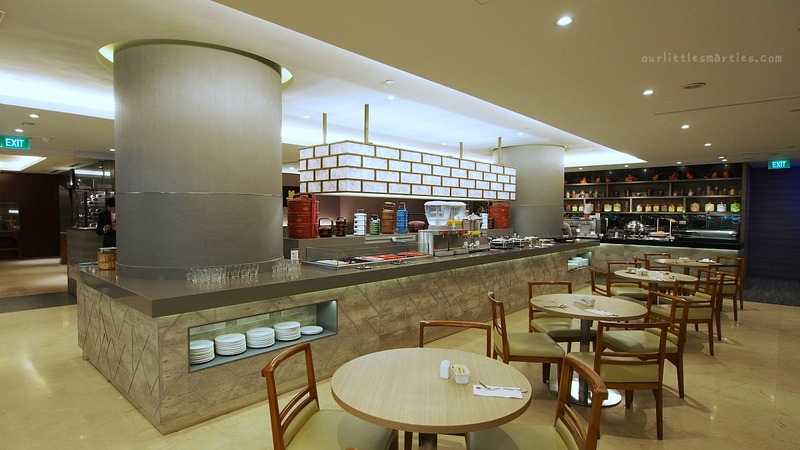 Wave Café, located at the lobby level, offers a delectable variety of novelty pick-me-ups, cakes, pastries, and gourmet coffee/tea. Jia Wei Chinese Restaurant (Level 2) offers both exquisite fusion and authentic Chinese cuisine with a tantalising collection of dishes that are suitable for fine dining and special gatherings. They also provide an extensive list of wine labels to complement each meal. Feast@East Buffet Restaurant is located at Level 3. 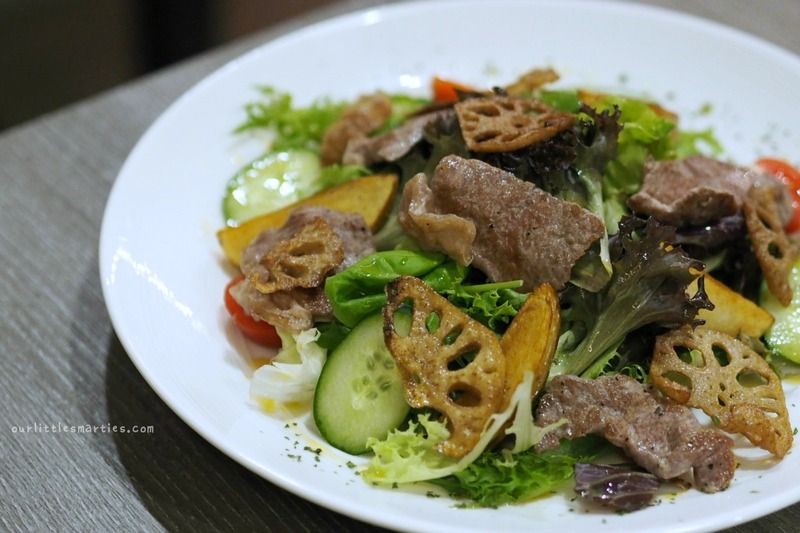 It offers a nostalgic array of Singapore’s diverse blend of cuisine of the Chinese, Malay, Indian, Eurasian as well Peranakan. This is also the place where buffet breakfast is served every morning. 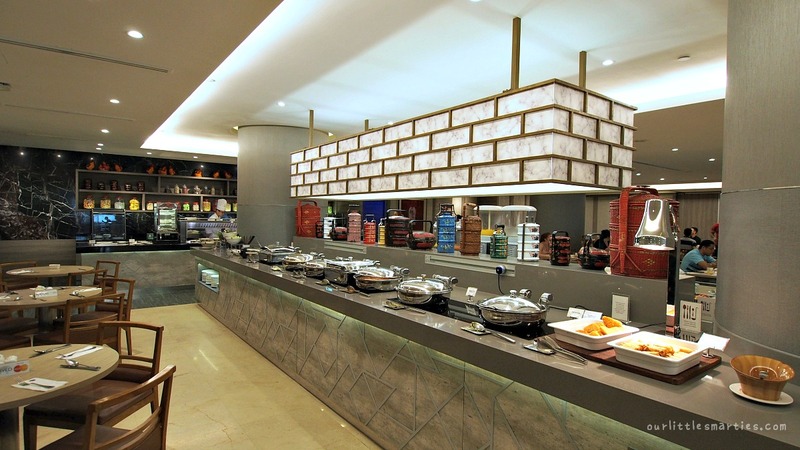 During breakfast, the restaurant serves quite a wide range of food items. 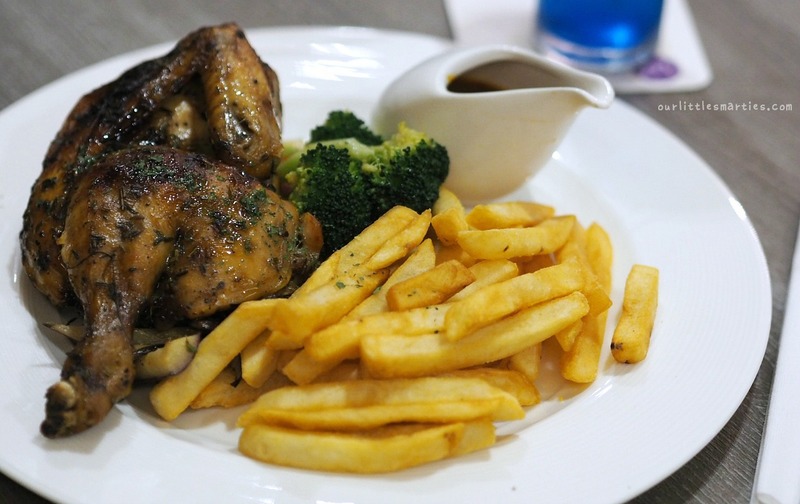 Besides the standard breakfast fare such as eggs and bacons, they also have heavier hot dishes such as spicy rending chicken, miso fish, curry vegetables, sautéed fish fillet and assorted dim sum. 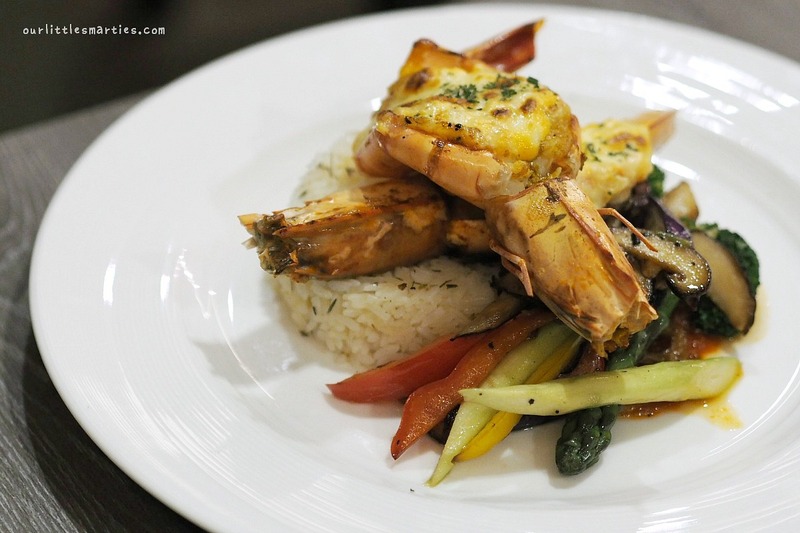 What I love most is Breez Bistro Bar, located at Level 4 with a nice view of the swimming pool. 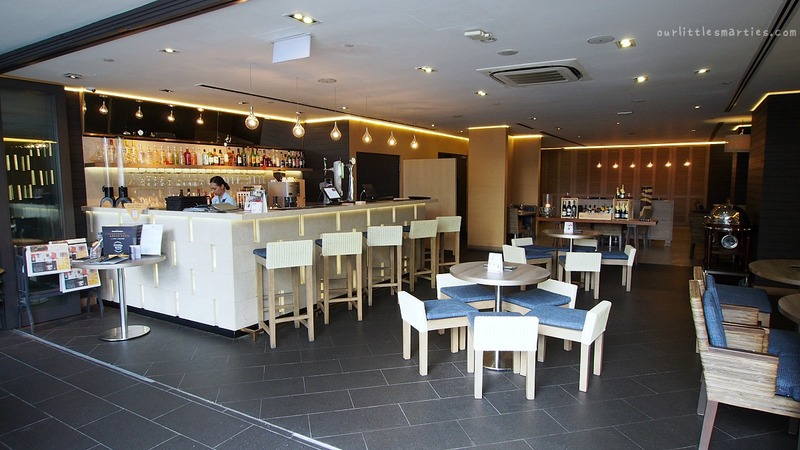 You can choose to dine indoor in the comfortable restaurant, lounge and bar, as well as outdoor by the pool. 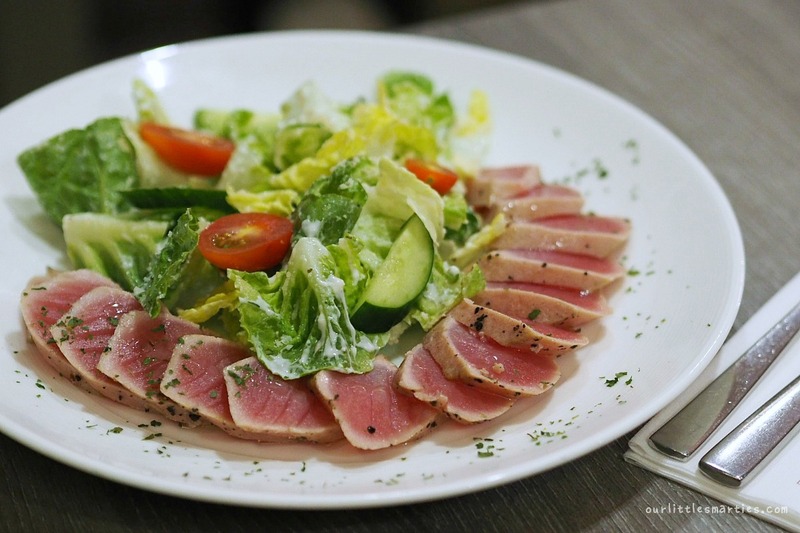 It serves a wide range of local and international delights with 4-course set dinner that starts from S$36++. 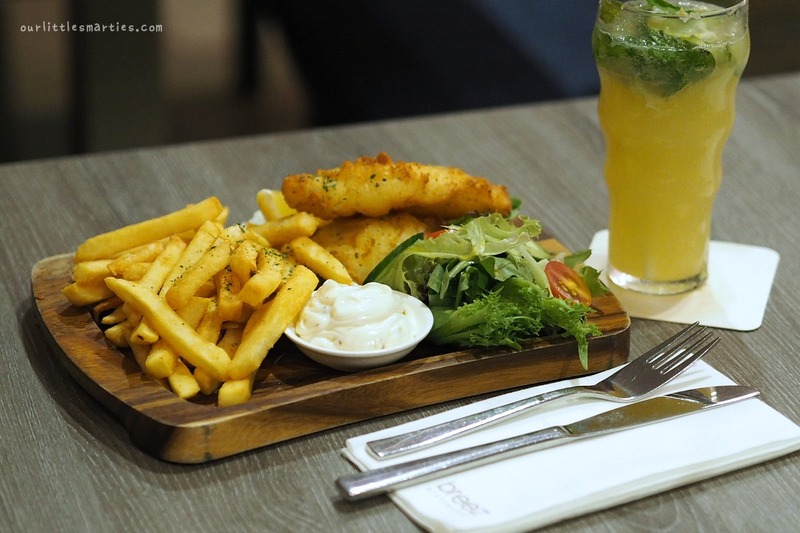 Fish and Chips (S$29++) Highly recommended! It’s made of cod fish. The hotel offers all the facilities and services of a four-star hotel such as limousine service, 24h room Fitness Centre, free high speed internet access, Business Centre services, coin-operated laundrette, foreign currency exchange and outdoor swimming pool. There is also complimentary Shuttle Bus Service to/from Changi International Airport. Guests staying in the Executive Room and Suites will have access to the Executive Lounge on the 17th floor. I briefly compared the room prices and was surprised to find that it costs only a little bit extra for the Executive Room and Studio Suite. 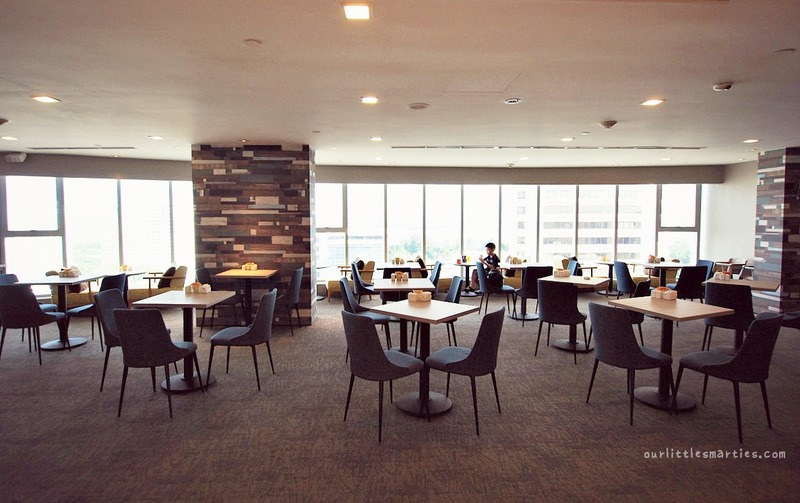 So, it definitely worth the upgrade – especially for staycation where you can enjoy more quiet and relaxing mealtimes at the Executive Lounge. 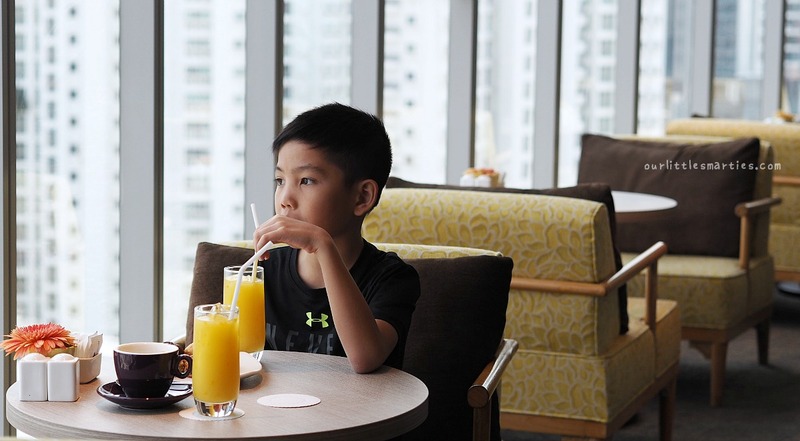 Edison enjoying a drink in a cosy atmosphere in the Executive Lounge while gazing at the breath-taking sea view. Nestled in the heart of historical Katong, you’ll be pleased to know that Grand Mercure Singapore Roxy is surrounded by many interesting places that are rich in Peranakan culture. Check-out Rumah Bebe for Peranakan souvenirs and fashion, as well as Kim Choo Kueh Chang for its authentic Peranakan rice dumplings, Nyonya kueh and cookies. The two rows of pre-war terrace houses along Koon Seng Road are one of the finest examples of Peranakan architecture in Singapore. They were built in the 1920s and served as homes for the Peranakans till the 1970s. It’s pretty interesting to bring the little ones to experience the rich architectural heritage here. Hawker food lovers can visit the hugely popular Marine Parade Food Centre that houses over 100 food stalls of local favourites. Want some shopping too? No problem! Parkway Parade Shopping Mall with over 250 specialty shops are just across the street. 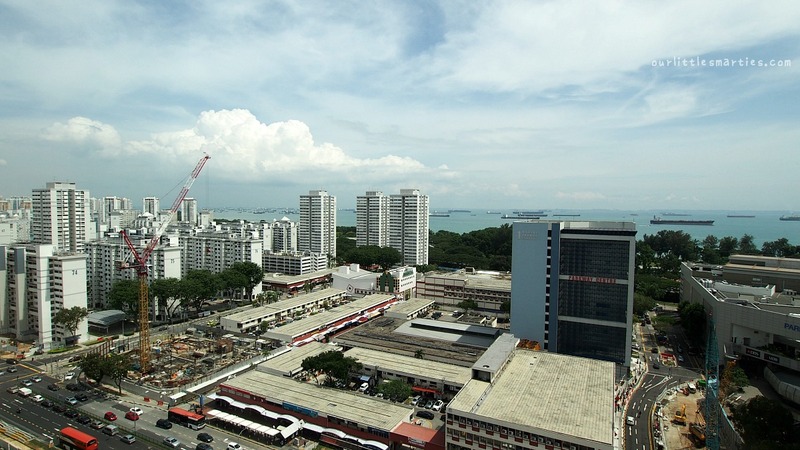 Additionally, I12 Katong is just 5 mins walk away. 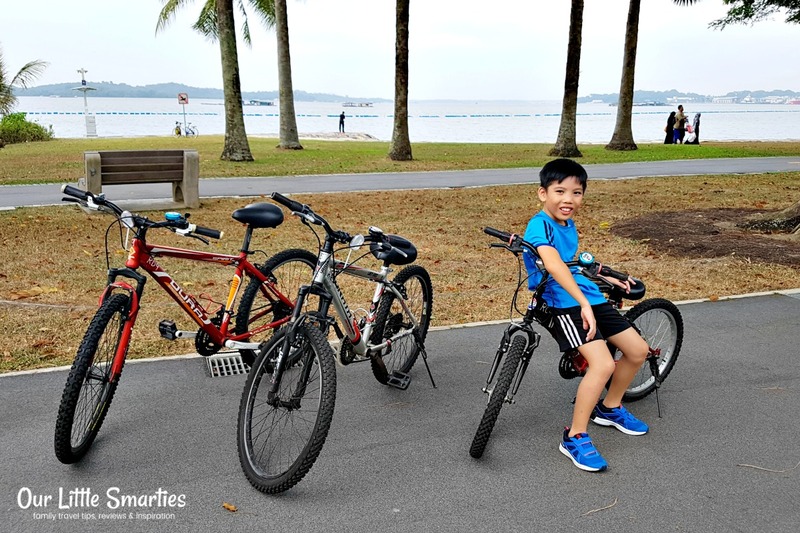 If you need a family-friendly recreation spot, East Coast Park is just 10 minutes’ walk from the hotel. Walk those calories off or cycle them away with your little ones! If you’re looking for a staycation in a unique location (Peranakan culture and many good food!) 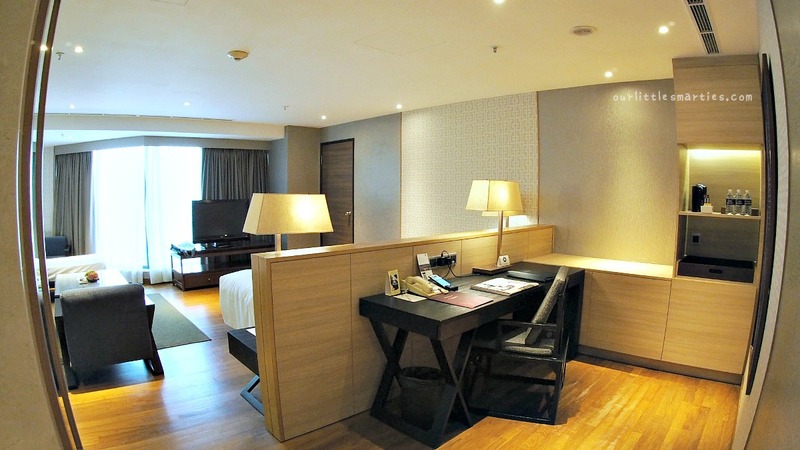 with spacious rooms and attractive prices for Suites, I’d highly recommend Grand Mercure Singapore Roxy. 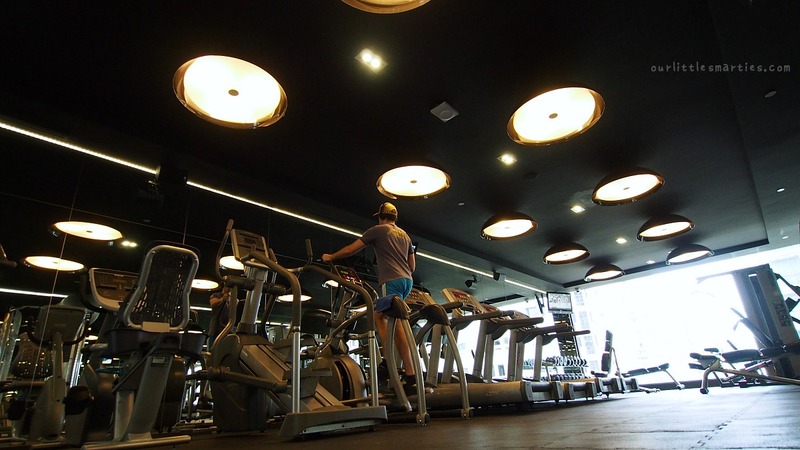 The hotel staffs consistently greeted us with a friendly smile and a positive attitude. To make it more attractive, you can make use of the Mercure Advance Purchase to enjoy a whopping 30% discount on your hotel room rate instantly as you make your bookings online. Accommodation and breakfast are free for 2 children under 12 years sharing parents’ room. Terms and conditions apply. Find out more HERE. 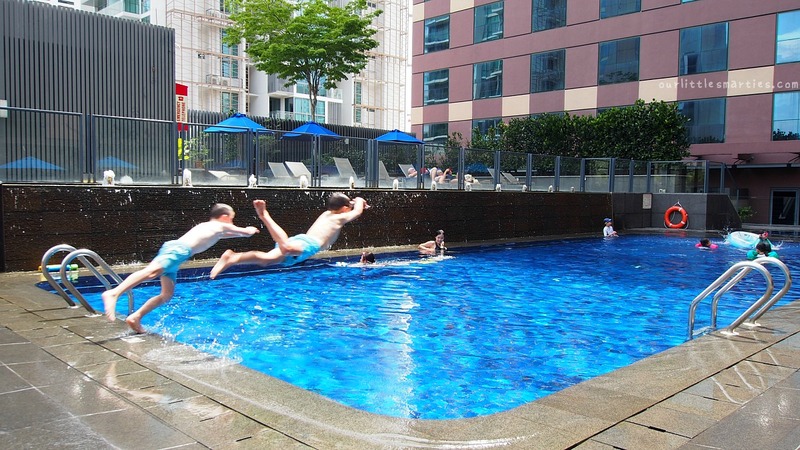 All in all, we truly enjoyed our staycation at Grand Mercure Singapore Roxy. It was a perfect chance for us to spend some quality time together as well as celebrating my birthday. And not forgetting the sweet birthday surprises that the hotel has arranged for me. They certainly make my 40th birthday EXTRA special. Disclosure: This is an invited media stay but as always, all views are honest and are our own. We genuinely enjoyed our stay at the hotel.